The No. 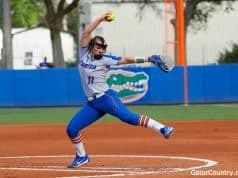 1 ranked Florida Gators softball team heads into Super Regional play this weekend as the top seed in the NCAA tournament, but this weekend won’t look that much different for this team. While this is the NCAA tournament the Gators will host SEC foe the Georgia Bulldogs in the best-of-three Super Regional this weekend. Georgia comes in after winning the Athens tournament, but it took them an extra game, as they lost to Oklahoma State last weekend. Georgia is the #16 team in the country for the NCAA tournament. 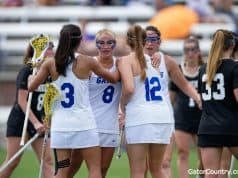 Florida didn’t play Georgia this year during conference play, as this is one of the rare years the rivals didn’t play. Here’s the schedule for the Super Regional and what station they will be broadcasted on. #1 Florida vs. #16 Georgia on Friday at 8:00 P.M on ESPNU if necessary. That’s a look at this weekend’s games but let’s dig a little deeper into this weekend’s opponent in our scouting report. Here’s a quick scouting report on the Florida Gators softball team as well. 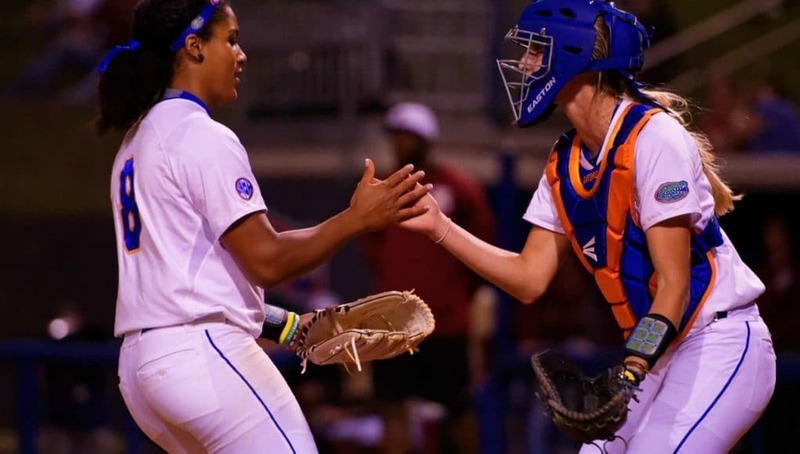 Florida enters this weekend with a .984 fielding percentage, which is the best in the country. The Gators also lead the country with a 0.86 ERA between its three pitchers. The Gators enter this weekend’s series off of a great regional where they swept the competition by a combined score of 24-0. Florida also run-ruled two games and had a dominating offense most of the weekend. Freshman Amanda Lorenz enters the Super’s with a .406 batting average and leads the team with 14 doubles and has also driven in 47 runs. Sophomore Kayli Kvistad leads the team with 11 home runs and 60 RBI’s and has been the Gators best hitter for the latter part of the year. 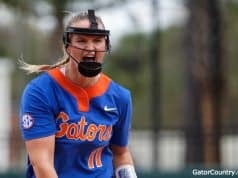 Much like it has been all year the Gators offense goes as Kelsey Stewart goes and right she’s hitting .312 but has been hitting much better later in the season then earlier in the season. Aleshia Ocasio and Delanie Gourley enter the series with the number 1 and number 3 ERA in the nation respectively as Ocasio has the nations best with a 0.65 ERA. Ocasio picked up two wins last weekend is 22-1 on the year and Gourley picked up the other win last weekend and is 19-3 with a 0.70 ERA this year. In past year’s Walton has went with two-man rotation with one lady coming out of the pen in relief and that was the case in the Regional’s. It looks like Kelly Barnhill and strike out stuff will be coming out of the pen this postseason. Georgia enters Super Regional play with a .352 batting average, which is good enough for fourth best in the country and first in the SEC. Hitting has been the strength all year for the Bulldogs. Sydni Emanuel leads the Bulldogs with a .466 batting average and has scored team high 47 runs this year. Emanuel is Georgia’s Kelsey Stewart and has 14 stolen bases on the year. Tina Iosefa leads Georgia with 23 home runs on the year and 86 runs batted in. Alysaa DiCarlo also has hit 11 home runs on the year and has driven 61 RBI’s this year, which would lead the Gators. In the circle is where Georgia has struggled this year as they have a 2.28 ERA on the year and that is lead by Kylie Bass who has a 1.25 ERA as a reliever. Chelsea Wilkinson is the Bulldogs ace pitcher and she has a 1.90 ERA and is 25-7 on the year while opposing hitters are just hitting .201 against here. Stay tuned to GatorCountry.com all weekend for updates on the Gators softball team.